Additive manufacturing, or 3D printing as it is commonly known, enables the creation of complex 3D geometries through the selective layer-by-layer deposition of material. The versatility of 3D printing as a manufacturing process removes the need for specific tooling allowing the process to have significantly reduced production times compared to traditional subtractive manufacturing processes such as milling or turning. Its uses are expanding on a daily basis but has found application in aerospace, medical and motorsports applications. The term 3D printing covers a wide range of different processes and materials from fused deposition modeling (FDM) printing for thermoplastic polymers to direct metal laser sintering (DMLS) for engineering metals. 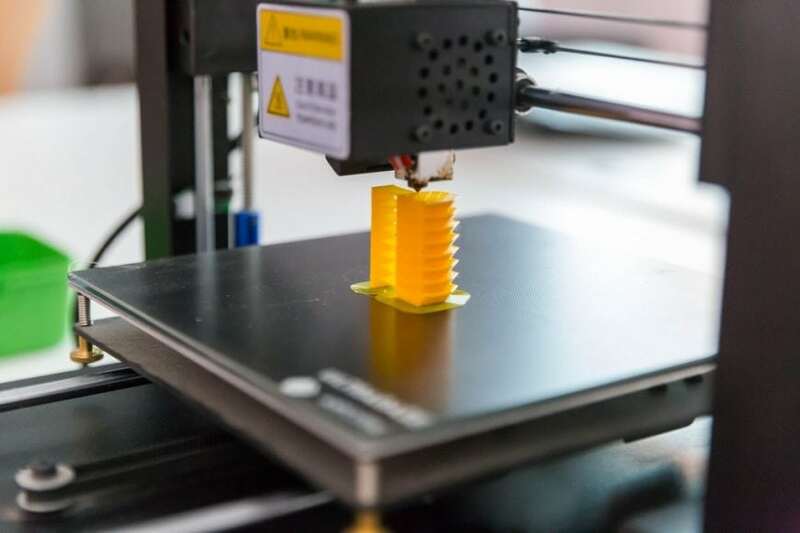 Whilst thermoplastic FDM printers have enabled consumers to access the technology due to the low cost, metal 3D printing has to date been out of reach due to the high capital cost of the equipment, the need for gases such as Argon and the safety concerns around flammable metal powders. In our recent work, “A low cost desktop electrochemical metal 3D printer” published in the Advanced Materials Technologies journal we demonstrate a new form of 3D printing called Electrochemical Additive Manufacturing (ECAM). Traditional 3D printing processes solidify material through either melting the material or using UV light to crosslink monomer solutions. The challenges with these techniques in the case of metals are that high temperature are required and UV initiated crosslinking is only applicable in polymers. The ECAM technique uses the electroplating process which is commonly used in applications such as gold plating jewelry or copper plating coins. Here, metal ions in a solution, for example, Cu2+ ions in copper sulfate, are reduced into their elemental components through the application of an external potential. In our electrochemical 3D printer the ionic solution is loaded into a syringe and a meniscus is formed between a nozzle and conductive plate. A potential is then applied to deposit the metal and the print head is moved. This process is continued till a 3D object is created. Asides from the low-cost nature of the printer, this process can be subtractive as well as additive, i.e. if the potential was reversed the metal would go back into solution, opening up the possibility for material recycling. Furthermore, with multiple print heads, multi-metal 3D printing can be enabled. ECAM, therefore has the potential to open up new design possibilities and be a distributive future manufacturing method. This study, A Low Cost Desktop Electrochemical Metal 3D Printer was recently published in the journal Advanced Materials Technologies. 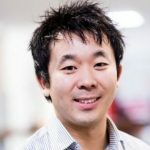 Billy Wu is a Senior Lecturer at Imperial College London, United Kingdom. Wu is part of the Robotics and Manufacturing team and also jointly leads the Electrochemical Science and Engineering group.